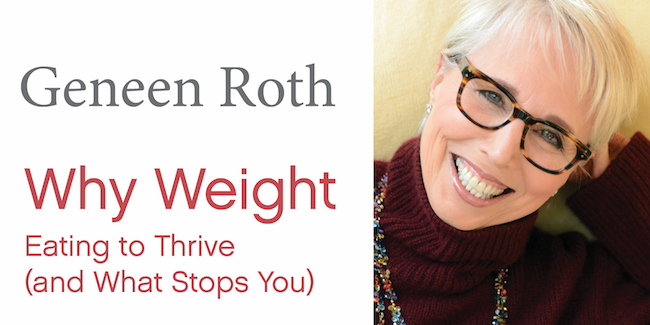 In this powerful hour –- Why Weight: Eating to Thrive (and What Stops You) -- Geneen talks about moving from deprivation to choosing foods you love because you love how you feel when you eat them. She explores many core beliefs about losing weight, feeling vulnerable and the swing to bingeing. And how best to feed what makes you feel most alive. To DOWNLOAD this talk, click on the link below. We hope you love it! NOTE: We suggest you use Chrome or Firefox browsers for easy download. So often, we give up on our longing for spectacular change. We lose track of the strong body knowledge that our lives are meant to be glorious expressions of who we know ourselves to be. We get lost in daily struggles and waiting for our lives to begin until we lose weight. Or have the perfect relationship. The perfect job. And then you come to a retreat. Because you want to change your relationship with food and your body ... and so much more. And in the company of other women with the same longings, the same challenges, you realize that food is just the doorway to the rest of your life. To issues of wanting more and never having enough, to the very things that keep you from joy, from a pure gorgeous sense of deserving to be fully alive. And who doesn't want that? What woman doesn't want to live a big new life in which you are fully, absolutely alive? 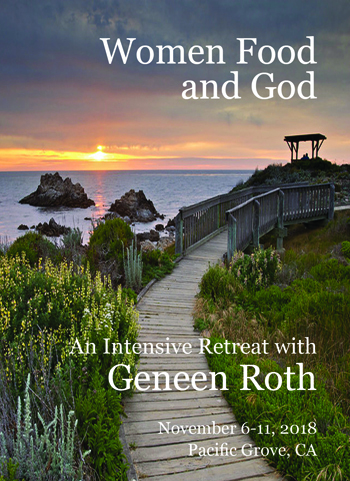 Simply put, Geneen's retreats are miraculous. Life-changing. Spectacular. And unlike anything else you will ever do. Ever. Or call Judy Ross, our retreat manager, at 703-401-0871. She'd love to answer all your questions.